Investment in a seed drill is a key stage in any farm development. The Kuhn range of precision seed drills has a wide choice of frame widths and equipment, so that users can adapt to different seeding conditions. It’s seeding unit is designed for maximum comfort during operations : it’s ergonomic and easy to use. Adjustments have been particularly carefully designed. Strong and extremely stable during work, it is the master seed drill and ensures perfect seed positioning. The seeding unit has a remarkable finish. It has been specifically designed to be suitable for all cultivation practices, in particular new techniques such as minimum tillage. Looking at it carefully, you will realised that it has been designed for two objectives, strength and simplicity. 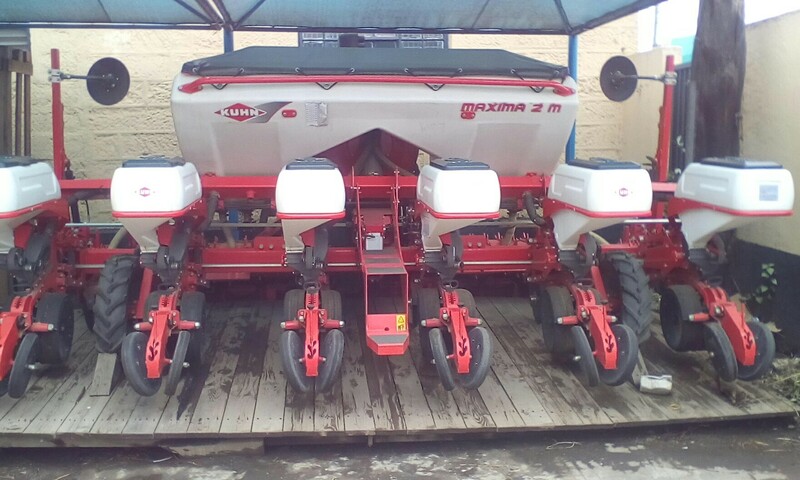 The seed drill has been designed for precision seeding using different types of seeds. It has many different types of chassis to meet all requirements. Depending on the model, different types of fertilizers are available according to choice or the farm’s possibilities. Fertilizer hoppers have a V-shaped base for easier release of granules. They can be retrofited on the chasis forming the air duct and form a one part assembly. These seed drills can be supplied with different versions of electronic control box. From simply controlling seeding units to counting the population of seed sown per hectare. Previous postInside A Cicoria Baler, important features.